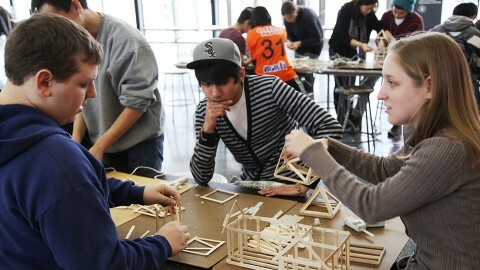 Teach, lead and inspire students to explore architecture, design and the built environment. The CAC offers educators unique, in-depth learning opportunities to explore architecture, construction, engineering and design concepts. Our hands-on training and award-winning curriculum will help you use design thinking and the built environment to teach core academic subjects and inspire future designers. Throughout the year, the CAC hosts a variety of professional development events and training for formal and informal educators. 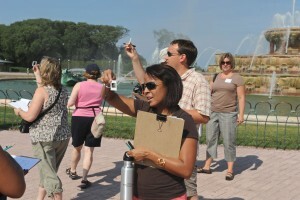 From educator open houses to week-long summer institutes, we want to help you expand your knowledge. In a collaborative environment, we address central themes and issues in social studies, history, urbanization, technology and design through the study of the built environment. Interested in upcoming teacher trainings? Sign-up to be alerted when new programs are added to our event calendar. Teach your students how to look at and see their built environment. Our curriculum will engage your students in their city while focusing on essential skills and project-based problem solving. To purchase a classroom set of any of the books listed below, please email groupsales@architecture.org. To address the changing field of architecture and design, we developed "The Architecture Handbook: A Student Guide to Understanding Buildings." It's an innovative college-prep architecture textbook for high school students. 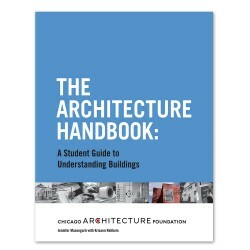 In "The Architecture Handbook," hands-on activities help students learn the fundamentals of both architectural design and technical drawing. Using a sustainable green home as the book’s case study, your students will investigate 10 well-known residential buildings around the world, through activities that enable students to compare and contrast these homes to their own. For educators inspiring students in grades K–8, our award-winning 500-page curriculum provides you with 47 individual lessons supported by historic and cultural background information. Lessons are organized by subject matter and designed to address the academic abilities and skill-building needs of young children. 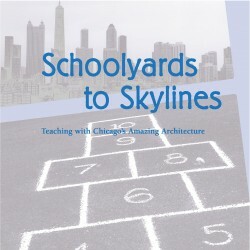 We are honored to share that "Schoolyards to Skylines" received awards from both The American Institute of Architects and the National Trust for Historic Preservation. 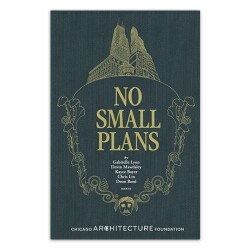 No Small Plans is a graphic novel that follows the neighborhood adventures of teens in Chicago's past, present and future as they wrestle with designing the city they want, need and deserve. To further explore the themes, characters and settings featured in No Small Plans, teachers are invited to view our reader's toolkit. The toolkit includes a page-by-page annotated guide for each chapter, teaching resources and an interactive map. 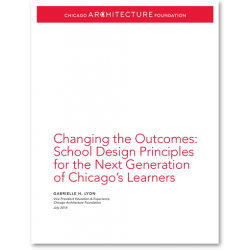 Given limited resources and shifting urban demographics, policymakers are asking how school buildings can best be designed to foster personalized, intellectually-challenging interactions among teachers and students that equip young people to be 21st century citizens.